Good morning! 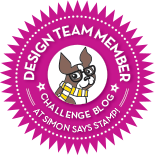 It's time for another fun challenge at the Simon Says Stamp challenge blog! I stamped the flower pot with the Hero Arts Envelope Pattern, and after adding the BoBunny rust dot rim, it was wrapped with Natural Twine. This is how the card is held together. The flower is made of flowers from Hero Arts Stitched Frame and Layered Flowers. The insert pulls straight upwards from the pot and is a simple rectangle that is built upwards with a variety of flowers from Hero Arts, stamped on scraps of autumn-colored design papers. The flowers on the insert are from these Hero Arts sets: Big & Small Flowers, Blossom Art, 3 Dotted Flowers, and 3 Leaves. The sentiments on the pot and the insert are from the same set, Just Find Me. So, what will you put in our gallery this week? I can't wait to see! 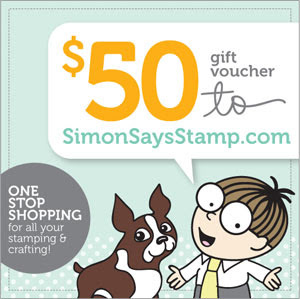 As always, the generous Heidi has provided a $50.00 gift voucher to the Simon Says Stamp store - will it be yours this week? Definitely not my usual style, but it was fun seeing if I could put this together......what do you think? I stamped and heat embossed the floral image, then colored in the details with distress markers. Then I spritzed very liberally with pearl water. I was a little worried that the colors would bleed into each other, but I think the embossing kept them where they belonged. The brown and green combination with the cream lace makes such a pretty combination. I decided to make mine into a Christmas card (can't have too many of those!). Barb loves pink and green, and she and I share a love of flowers, so that made this card easy to make! Happy Birthday, my friend - wishing you a wonderful birthday! If you'd like to make Barb a birthday card also, just go on over to Virginia's blog and you can link it there! TCM New Christmas Release Blog Hop!! Good morning! Welcome to The Craft's Meow Christmas Release Blog Hop; today is the day that we can show you all 6 of the new sets! The O Christmas Tree set is our new free gift when you spend $50.00 at our store! and combined it with some Echo Park Christmas This & That papers, a Nesties Labels Eight die, some baker's twine, punched pine sprigs and some heart buttons. I also glittered the stars and stripes on the ornament. Did you know that you have a chance to win all SIX of the new stamp sets? All you have to do is visit and comment on all of the stops along the hop, and one lucky random person will win them all! You have until Saturday, October 27 at 9 PM PDT to enter. 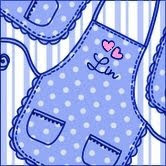 So, off you go to the next stop, which is the talented Lindsay's blog. If you get lost along the way, you can always go back to the TCM blog for a complete listing of participating blogs. Good luck! 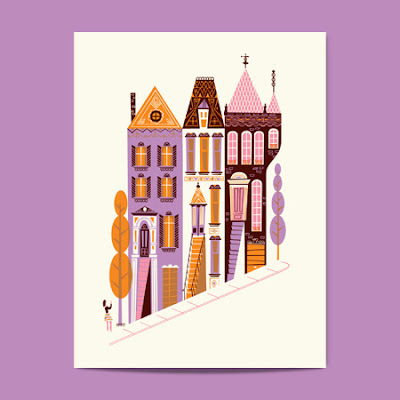 If you're here to see my cards for The Craft's Meow Preview, please click HERE or scroll down one post. When I saw the Shabby Chic Autumn Leaves set from Just Rite, I had to have them. 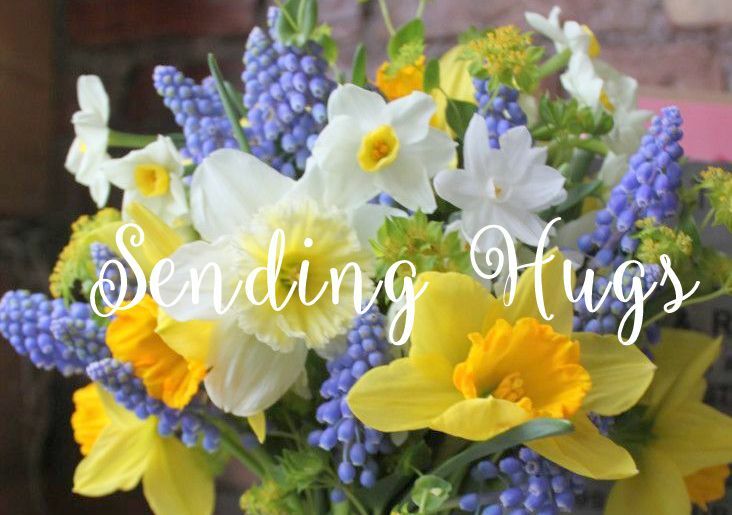 They are the perfect size for a card, and besides the beautiful leaves, either in music or text, there are several sentiments, and some buttons and post marks too! A very good value, in my opinion! Besides this set, I used some papers from 2 new 6" pads: BoBunny's Apple Cider (the striped paper) and Very Vintage Double Dot Designs (2 of the leaves). The other papers are from my collection of autumn ones. Other supplies include buttons from October Afternoon's 9 to 5 collection, and some natural twine. Once again, Heidi has set aside a $50.00 gift voucher at the Simon Says Stamp Store for the random winner of this challenge. Please visit the Simon Says Stamp Challenge blog to see all the beautiful autumn cards that the Design Team and our guest Laura have made. Good morning, all! I'm back again today with the last 2 sets of Christmas stamps being released tomorrow! They are O Christmas Tree, designed by Amy Wanford, and Holiday Foundations, designed by Karen Baker. Let's start with the O Christmas Tree set. This large set contains 6 different patterned trees, plus many, many sentiments and some accompanying elements for the trees. For my card I made a winter background using blue and white cardstock, stamped my sentiment, and added snowflakes to it with a Darice embossing folder. Then, using 2 different green shades of cardstock, I stamped and cut out my trees and arranged them across my landscape. I added a bit of glitter along the edges of the snowy hills. Now here's my card using the Holiday Foundations set. 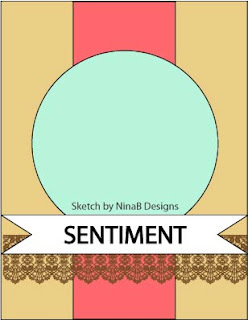 It is full of wonderful graphic elements and sentiments, most of them with a really unique texture built in, giving a worn look. I decided to make this one using just kraft and red, and this made a really simple, almost masculine card, using the argyle pattern. Love this set! Want to see more? Please visit The Craft's Meow blog today to see my teammate's wonderful creations using these 2 stamp sets; if you leave a comment there, you'll have a chance to win them both! Then come back tomorrow to see all of the sets revealed, along with a blog hop! See you there! Welcome to our 2nd day of the newest Christmas releases from The Craft's Meow! Today I have 2 more sets to show you; they are called Winter Fibi and Lilly and Christmas Cheer, both designed by Mabelle R-O. And Christmas Cheer will be our free gift with a $50.00 purchase this month! Let's get started. First up I made a little snowflake ornament using 1 of the 3 adorable images from the Winter Fibi and Lilly set. Angel Lilly was stamped twice, once on white cardstock and again on a scrap of snowflake paper for her dress. I added a little color to her face and paws, and glittered her wings and halo using a glue pen and some fine glitter. I think this will really twinkle when put near a light on the Christmas tree. After piecing on her dress, I cut her into a circle with my Nestabilities circle die, framed it with a scalloped circle in blue, and then with 2 Nesties Fleur De Lis pendants. (I have always thought that the pendant looks like a snowflake) I stamped some small snowflakes in the background, added a gingham ribbon as a hanger and I was finished. This will probably go to my little granddaughter for her tree in Texas. I stamped a panel using the peace bird, piecing the leaf, with one of the sentiments and a snowflake/star. That panel was framed up in red, and added to some panels from Authentique's Festive paper pad. I added a green grosgrain stitched ribbon and some red metallic accents. 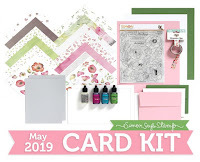 If you'd like to see more card samples using these 2 sets, please go on over to The Craft's Meow blog to see what the other DT members and our Guest Designer Emily Keaton did; don't forget to leave a comment there for a chance to win these 2 new releases! And I'd love it if you visited me here again tomorrow to see the last 2 previews of this October release. Welcome! 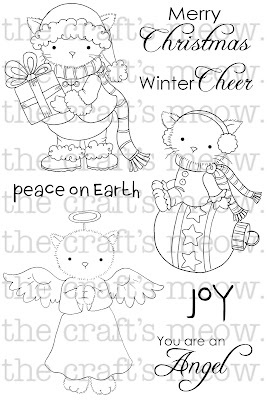 Today we are beginning the October unveiling of the new The Craft's Meow stamps for Christmas!! Today I and the other DT members will be showing you 2 sets: Christmas Angel, by Nina Brackett, and Hearth and Home, designed by Elizabeta Kushner. I paper-pieced Nina's beautiful angel, stamping the wings and heat embossing them in gold embossing powder on a printed honey cardstock. The dress and body were stamped in black ink; the dress on another marbled creamy design paper, and the head and arms on white cardstock, and colored in with alcohol markers. Here's a closer photo to show the glimmer of gold on the wings and the subtle printed patterns on her gown and wings. The sentiment is from Luke 2:14, and is one of several equally lovely sentiments included in this set. This set has many varied elements; I chose the holly branch and jingle bells, and the accompanying sentiment. The holly branch was stamped 4 times on white cardstock, then colored with alcohol markers, and cut out, adding some Ranger Glossy Accents to the berries for some dimension and shine. They were then arranged on the music paper along with the sentiment cut into a banner shape. I stamped the jingle bells once on white, and again on a pearly gold paper coloring the ribbon on the white and piecing in the gold bells, before popping them above my holly. Please pop over to The Craft's Meow blog to see what Guest Designer Emily Keaton and my other teamies made with these 2 new sets. You have a chance to win both these sets by commenting there! I hope you'll come back tomorrow and Wednesday to see previews of 4 other Christmas sets!! And on Thursday all of them will become available at The Craft's Meow Store. 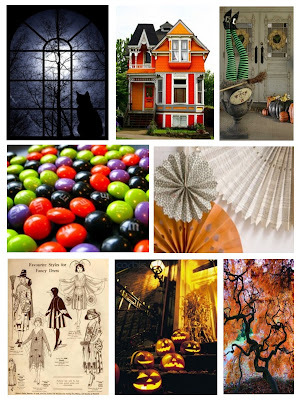 Hop on over to Moxie Fab World and see all the takes from everyone else - this one really has brought our our creativity! I've made this card for The Craft's Meow October sketch challenge, and also for another category at SplitCoastStampers' Hope You Can Cling To event. I used TCM's Hope Blooms, along with my favorite music paper from Hobby Lobby and some from Graphic 45's Little Darlings. The diecut is a Nesties Labels Eighteen, and the lovely lace is by Webster's Pages. I hope you'll join us in either of both of these challenges - you have all of October to enter them. 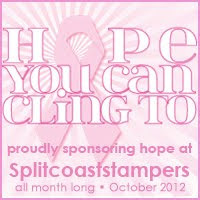 For the third year, SplitCoastStampers is running a breast cancer awareness campaign all during the month of October; it's called Hope You Can Cling To, and The Craft's Meow is a Pink Ribbon Sponsor! Here is the card I made for one of the challenge called "Strip Please". We are to use strips as a background to anchor our focal image. I started with strips of paper from My Mind's Eye's The Sweetest Thing honey collection, and added in some various other papers, too. My TCM stamps are Stitched Flowers and Stitched Sentiments. 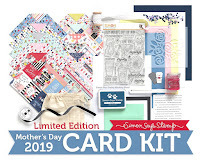 If you'd like to participate in this wonderful cause, please make a card using The Craft's Meow stamps, and link it on The Craft's Meow blog post HERE, for a chance to win a stamp set of your choice!! Please link it from the HYCCT gallery. Happy Wednesday! 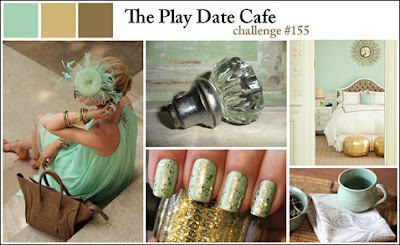 Are you ready for a really fun challenge this week at the Simon Says Stamp Blog? Our Joy has put together a great inspiration board for us to use this week! This little set is packed with everything you'll need to make a fun Halloween scene - even a little iron fence! So many details in it! 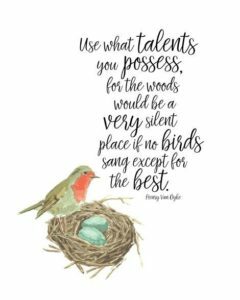 What will you make this week? Heidi, as always has provided another $50.00 gift voucher for a lucky random winner to spend at the Simon Says Stamp store! 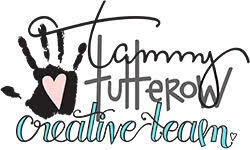 Can't wait to see your hauntingly creative designs! 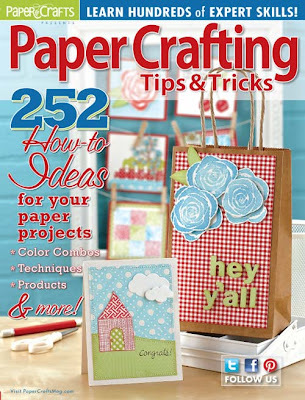 Simon Says.......use dies or punches........and a GIVEAWAY!! Dies or Punches! 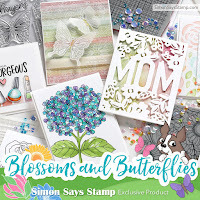 This week the DT is showcasing the new Simon Says Stamp dies that were recently released. We'd love you to use them, too, if you have any, but if not, please make something using any die or punch. 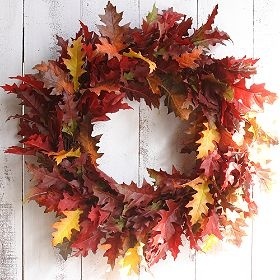 I simply die-cut the wreath from cream cardstock, colored in the leaves with various Memento Dual-tip Markers in autumn colors, then placed it over a Nestabilities oval framed in a scalloped oval die, and added a natural jute twine bow at the top. Then I surrounded it with panels of various autumnal design papers from my stash. For my 2nd card, I cut the wreath from dark green paper, placed it on my square card, and added the Hero Arts sentiment, some tiny red pearls, and a red bow - easy Christmas card! 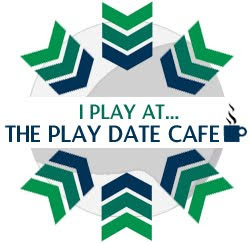 Our generous Heidi has provided another $50.00 gift voucher for the random winner of our challenge again this week. 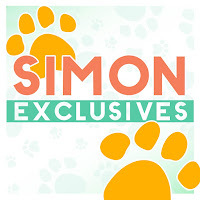 As an extra bonus for this challenge Heidi will be giving one lucky entrant a FABULOUS pack of Simon Says Stamp Exclusive Dies worth $50 !! Woo Hoo !! To be considered for this random draw, be sure to leave a comment on the designers' blogs! 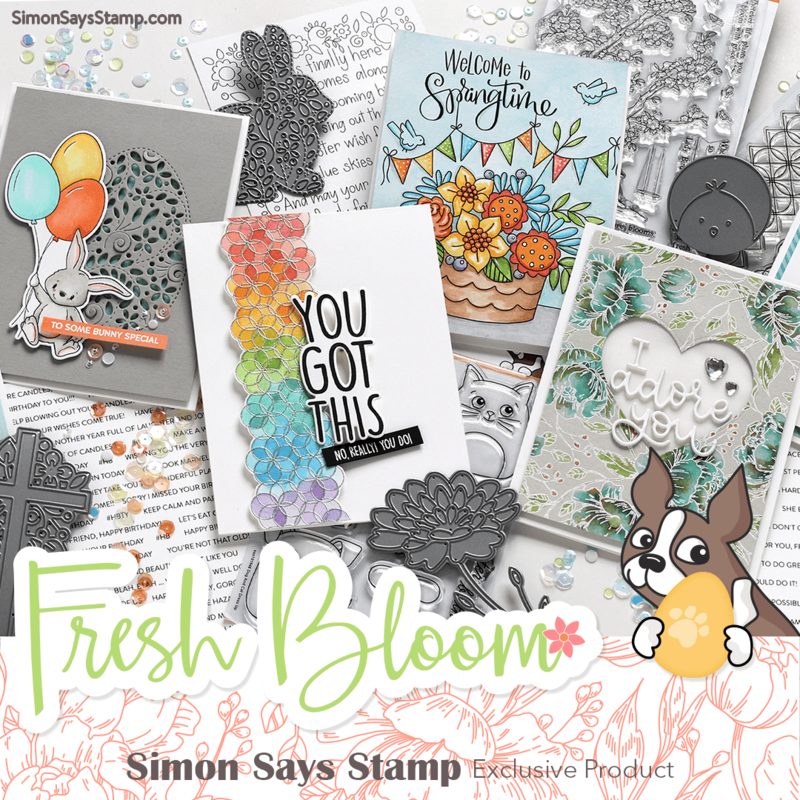 And please visit the Simon Says Stamp challenge blog to see what our Guest Designer Laura and the rest of my team-mates made with our dies, then create something special and link it up for a chance at that voucher!